The Citrus Club is a charming gated community in La Quinta, California. Here you will find a distinct and desirable lifestyle that stands out amongst the desert communities. This exclusive community offers homebuyers an assortment of homes, incredible golf courses, as well as prestigious privileges to the legendary La Quinta Resort. This is the perfect place to call home with shops, dining, and entertainment nearby. There is an exciting array of amenities as well as numerous social activities available to the residents of The Citrus Club. The Citrus Club features a main dining room and The View bar, a two-lane lap pool and a 15,000 square-foot state-of-the-art fitness center. Members can enjoy unlimited golf on the Pete Dye designed 18-hole Citrus Golf Course. White-skirted citrus trees line the fairways of this challenging yet accessible course. In addition, residents of The Citrus Club can enjoy the world-class amenities at La Quinta Resort. They have access to unlimited tennis and fitness. There are 23 tennis courts, five of which are Har-Tru courts. They can also enjoy the 42 pools that are throughout La Quinta Resort, three of which are lap pools. They get discounts at the three restaurants, shops and spa. Furthermore, they have access to both the Mountains Golf Course and the Dunes Golf Course. For a combined 36 holes of golf, the Mountain and Dunes Golf Courses are carved out of the Santa Rosa Mountains, creating a peaceful yet visually dramatic effect. There are a variety of homes offered within The Citrus Club. Multiple builders began constructing homes in 1987 and the community was completed with 625 homes in 2013. Homebuyers are sure to find a home that suits their price and style. The Citrus Club offers residents three attached floor plans that range from approximately 2,400 to over 2,500 square feet and offer three bedrooms, three bathrooms and an attached two-and-a-half-car garage. The Citrus Club also offers residents 18 single-family floor plans to choose from. These range in size from approximately 2,400 to nearly 4,700 square feet and feature two to four bedrooms, two-and-a-half to four-and-a-half bathrooms and an attached two to three-car garage. Buyers can choose from both attached and single-family homes with spectacular views of mountains and fairways. At The Citrus Club an array of clubs and amenities help residents fill their days with exciting activities and events. Regardless of your passion, you are likely to find other like-minded residents who share your interests. Staying in shape is made easy at The Citrus Club with tennis, golf and the state-of-the-art fitness center. Enjoy some friendly competition over pickleball. In addition, residents can enjoy classes such as Zumba, yoga, Pilates and Tai Chi. Get to know your new neighbors with member mixers and the men's and women's groups. Living at The Citrus Club also means enjoying some of the best resort-style living in the area. The Citrus Club is located in La Quinta, California on Pomelo right past Avenue 50. It is conveniently located next to I-10 and provides access to a variety of shops, medical facilities, restaurants, and entertainment. Palm Springs International Airport is just over 20 miles away. La Quinta Museum, McCallum Theatre, Joshua Tree National Park, and Palm Springs Aerial Tramway are all popular attractions to visit. Residents can also get their game on at the Fantasy Springs Resort Casino and Spotlight 29 Casino. The Palm Springs area is known as a golf haven and residents have dozens of world-class courses just outside the community gates. Residents in La Quinta, California will find that The Citrus Club offers the best in resort-style living in a luxurious atmosphere. Residents have access to the members-only Citrus Club clubhouse that offers an area to stay fit and socialize with neighbors. Residents have access to the La Quinta Resort and all its amenities. Mountain & Dunes Clubhouse - 20,000 Sq. Ft. There are plenty of activities available in The Citrus Club. Here is a sample of some of the clubs, activities and classes offered here. There are a variety of homes offered within The Citrus Club. Marvin Homes built these attached homes. There are exceptional floor plans that range in size from 2,439 to 2,747 square feet and have three bedrooms, three bathrooms and an attached two-and-a-half-car garage. Most homes have spectacular views of mountains and fairways. Multiple builders began constructing single-family homes in 1987. Some of the builders include JM Peters Co, RJT Homes, Marvin Homes, Sheffield Homes and Desert Housing LLC. Homebuyers are sure to find a home that suits their price and style. There are exceptional floor plans that range in size from 2,419 to 4,697 square feet. These homes offer two to four bedrooms, two-and-a-half to four-and-a-half bathrooms, and a two to three-car garage. The Citrus Club is absolutely amazing! Stunning architecture, beautiful landscaping, world-class amenities ... I could go on all day! 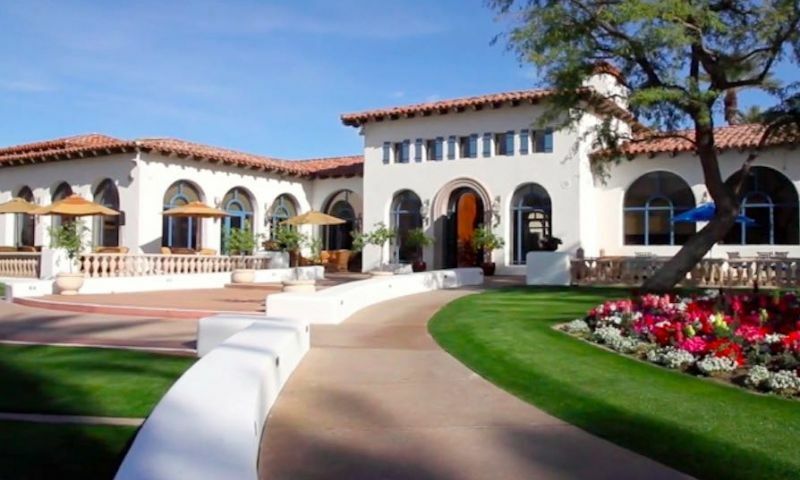 Golf, tennis, pools, spa, everything is gorgeous and a true dream home destination in a fabulous California location. Absolute perfection if you ask me! 55places.com is not affiliated with the developer(s) or homeowners association of The Citrus Club. The information you submit is distributed to a 55places.com Partner Agent, who is a licensed real estate agent. The information regarding The Citrus Club has not been verified or approved by the developer or homeowners association. Please verify all information prior to purchasing. 55places.com is not responsible for any errors regarding the information displayed on this website.